Currently Sven is responsible for the digital transformation of the Krombacher group and takes care for the digital communication. Until March 2017 Sven was Senior Account Executive for Twitter DACH. In this position, he supported some of the biggest brands and media agencies in Germany using Twitter to achieve their goals. He moved to Twitter from IKEA where he led the digital and social media team and was responsible for overseeing all online and mobile projects. Before joining IKEA, Sven was Digital Communications Director for Weber Shandwick in Germany, Chief Marketing Officer (CMO) and Head of Public Relations for the VZ Network Group, the holding company that owns German Facebook competitor StudiVZ. During his time at VZ, Sven was a member of the executive team and responsible for all marketing and communications activities, including overall strategy, Media, PR, Social, CRM, and Sales promotion. 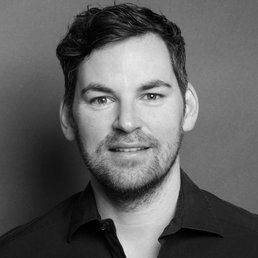 Previously, Sven was Head of Digital Marketing at internationally renowned beverage company Jägermeister, orchestrating all national and international digital communication and marketing efforts.